These prices are for orders placed in the month of September 2016. 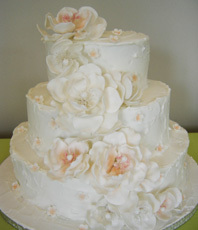 Fresh flowers and frills two tier. 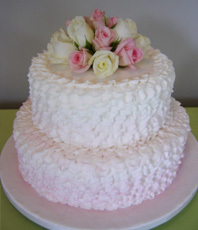 Usually $ 275.00 for size 7+ 10 inch to serve 50 guests. Or larger size 9+12 inch to serve 77 guests was 320.00.